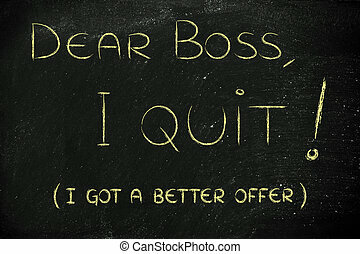 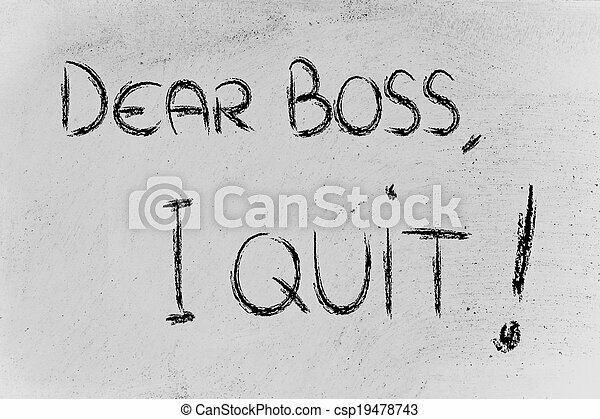 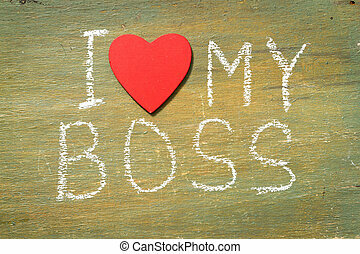 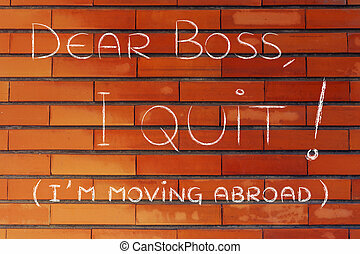 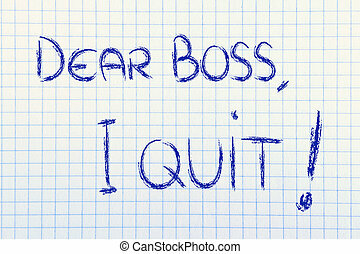 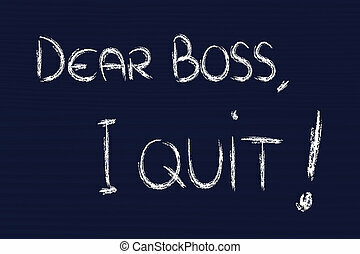 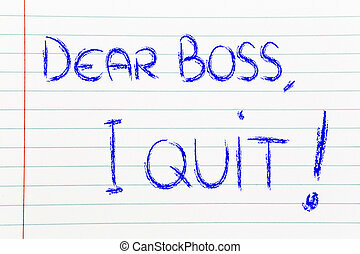 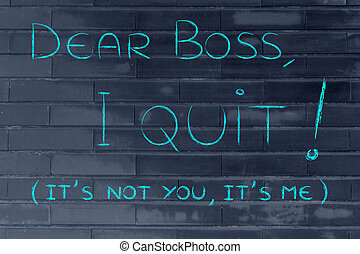 Dear boss, i quit: unhappy employee message. Chalk writings on blackboard: dear boss i quit. 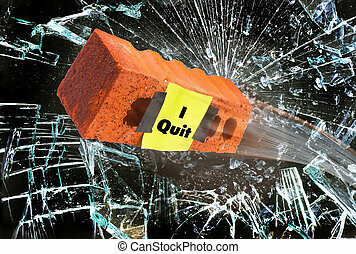 I quit brick through glass wall. 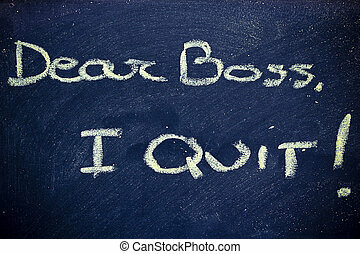 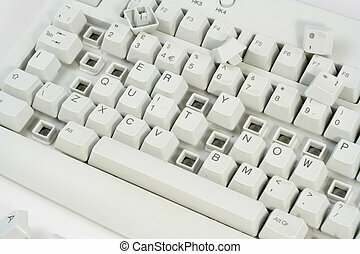 A resignation message in the keys of an abused computer keyboard. 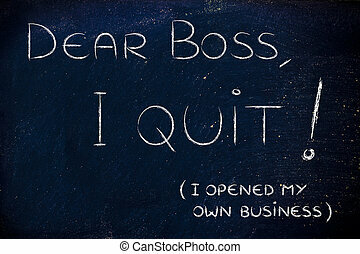 Man hand holding a business card stating I quit in bold! 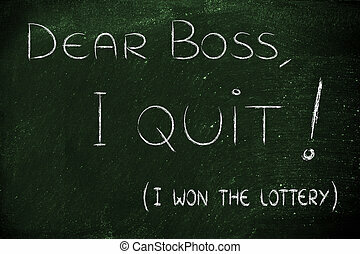 Text i love my Boss written with chalk in old board wooden. 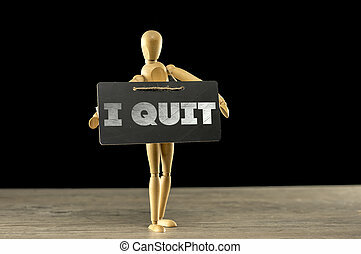 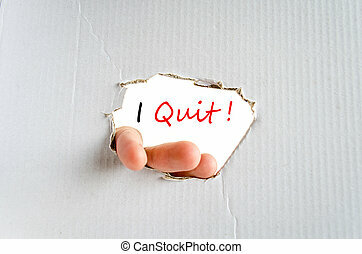 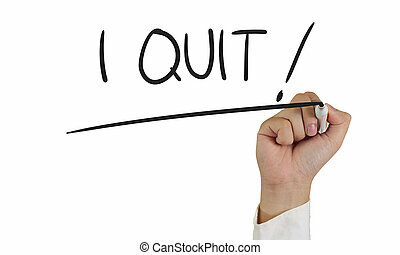 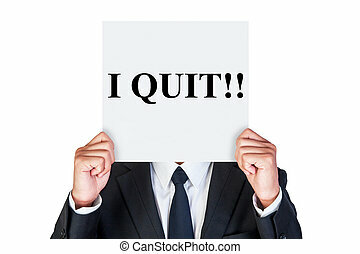 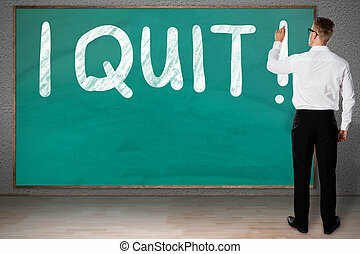 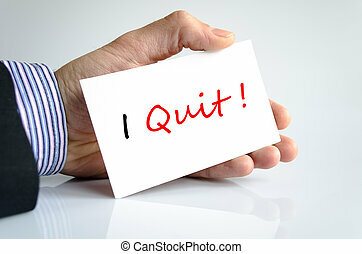 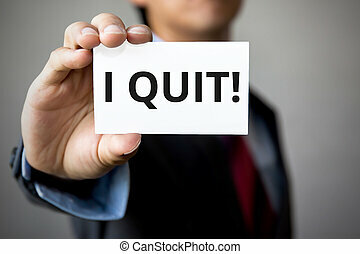 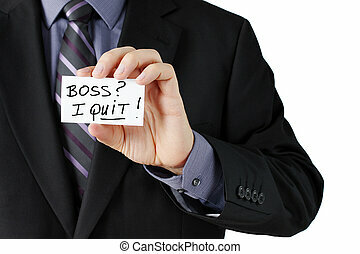 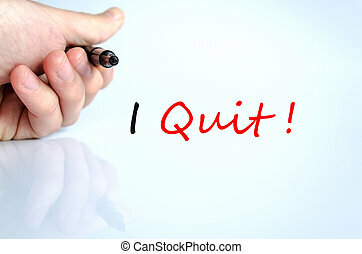 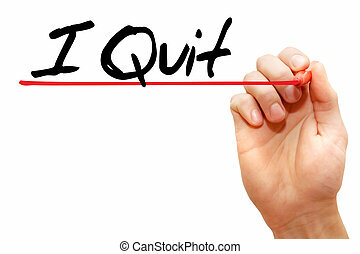 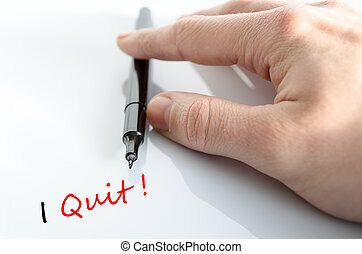 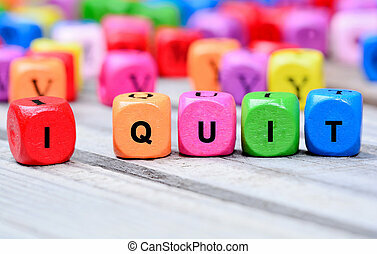 Businessman presenting 'I Quit' word on white card.